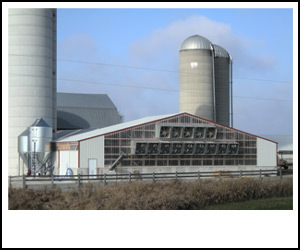 L & L Sales and Service, Inc. is known for its diverse line of pre-engineered buildings, including Dairy / Agricultural, Equestrian, Suburban / Hobby, and Commercial. Depending on your needs, we offer a wide range of building systems involving Steel / Wood Combination, Structural Insulated Panels, Post Frame with LVL Rafters, Trusses, and / or Starwood Trusses. Headquartered in Kaukauna, WI, we serve customers from all over the state with excellent de-sign build services, great structures, and quality products that fulfill each customer’s needs. This one-on-one approach begins with your concepts and ideas and ends with a quality struc-ture that delivers to your expectations. No project is too big or too small. We look forward to working with you in fulfilling your dreams with an Ideal Building that meets your needs! Browse through our website; call or email for free building analysis.